With Maltazard now seven feet tall and Arthur still two inches small, our hero must find a way to grow back to his normal size and stop the Evil M once and for all, with the help of Selenia and Betameche. At the height of World War II, a tiny wood pigeon enlists in the elite Royal Homing Pigeon Service to serve Britain, as the fearsome General Von Talon and his deadly squadron of falcons patrol the English Channel. Is he a war-hero in the making? Narrator: [a photo album unlatches and opens to a picture of a bearded man] This is Archibald Suchot, a treasure hunter, explorer, and engineer. He spent 10 years in Africa building every type of useful thing. Oh, by the way, it's in the heart of Africa that our story begins. Every now and then it's nice to be reminded of the power of the imagination; of what it was like as children to escape to other worlds and embark on remarkable adventures. 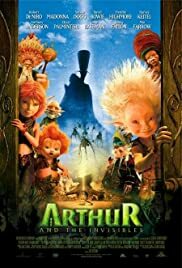 Luc Besson's Arthur and the Invisibles does just that and does it brilliantly with a mix of stunningly shot live action and wonderfully crafted, sometimes breath-taking CGI animation. It's a story which echoes, and affectionately pays homage to, many of the very best Children's stories. Stories such as The Sword in the Stone, Alice in Wonderland and The Borrowers. 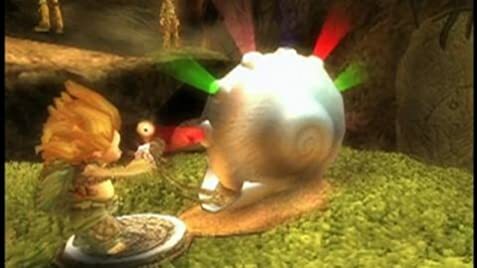 The tale's young hero, Arthur, is battling to save his grandparents' home from the clutches of real estate developers. His grandfather is missing, but handily he's left the boy a series of clues to a hidden treasure trove which, if it's found, could be used to pay off the money- grubbing developers. But this is no straight-forward, stroll in the park search. In trying to find the haul Arthur must unlock the passageway to an underground world populated by curious, minute creatures. The home of these "invisibles" is also in peril: in their case, because of a malevolent wizard. So, joining forces with an almost improbably beautiful princess, Arthur sets off on his perilous mission. The cast list reads like a Hollywood Who's Who. Robert de Niro, Harvey Keitel, Madonna and Mia Farrow all feature. But it's the young lead who really takes centre stage. Freddie Highmore was Charlie in Tim Burton's Charlie and the Chocolate Factory. It was a role he played well but I fully expected him, as with a plethora of child actors, to then disappear into fresh air. But Highmore comes alive in this movie; both when we see him in the flesh, and when he's voicing his animated incarnation. Besides Highmore, Mia Farrow, as Arthur's scatty grandmother, is utterly charming and David Bowie makes for a very creepy, yet nicely understated, evil wizard Maltazard. The look of Maltazard's henchmen exemplify the darker side of Luc Besson's previous work but their idiocy prevents them being too terrifying for smaller children. The film isn't flawless. Jimmy Fallon's Betameche, while surely popular with the film's younger viewers, at times borders on the unbearably annoying; while the casting of forty- eight year old Madonna as Princess Selenia seems a little odd. Her performance is perfectly adequate, but in effect she spends most of the time flirting with a schoolchild. Strange. But the gems in Arthur and the Invisibles far outshine any minor negatives. Mixing live action with CGI could quite easily look messy and unconvincing but, quite simply, it works and while there's always a danger of such a tale descending into saccharine sludge, thankfully that doesn't happen. Arthur's quest is a joy to follow; it deserves to be anything but invisible. 23 of 29 people found this review helpful. Was this review helpful to you?